This post is part of the July Blog Party hosted by Danielle over at The Teacup Chronicles. Check her blog tomorrow for links to the other entries. The idea for this blog party was ‘cooling drinks for the dog days of summer’ so it may come as a surprise to some that I have chosen to write about herbal teas (well, I am English after all). I drink teas come rain or shine and there are many lovely cooling herbs that make fine summer teas. Now I know the UK isn’t famous for its scorching weather but folk from hotter climates also enjoy teas on even the warmest days of summer. In India I drank chai, in Morocco it was fresh mint tea and in Mexico we used to have a lovely cinnamon infusion. Some of these drinks, as well as being taken hot, also contain warming spices which we associate more with winter drinks but these can actually open up the pores enabling you to cool down more effectively. Such is the magic of herbs. To make the perfect cup of tea it’s ideal to use filtered water as the taste will be purer. Warm the pot with a little hot water first, discard then add about a tablespoon per pint of your chosen herbal mix. Pour over hot water that has just boiled but ceased to bubble and leave to infuse for 10/15 mins to extract as much benefit from the herbs as possible. If you need a sweetener then add a little honey after pouring when the tea will have cooled enough to avoid destroying its beneficial qualities. Ayurvedic medicine warns strongly against heating honey. Sip slowly and with gratitude for the multitude of wonderful herbs available to us. Chamomile – Soothing to the digestion and the nerves, chamomile is a lovely after dinner summer tea and helps calm overheated, irritable children (and adults). Rose – Cooling, toning, calming and full of love, rose is lovely mixed with gently moistening herbs like Lime blossom and mallow or cooling diaphorectics like elderflower for a harmonising summer treat. 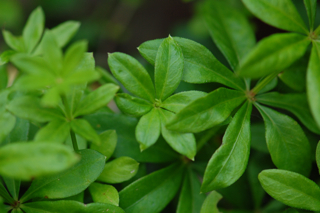 Sweet Woodruff – Cooling, mildly cleansing, good for the digestion and relaxing, this herb is a lovely addition to many summer tea blends with its mild and pleasant taste. Elderflower – Cooling, diaphoretic and soothing to the upper respiratory tract, elderflower also has a light and pleasant flavour which is ideal for summer teas. Hawthorn Blossom – Calms the nerves and opens the heart, if you like the taste, which I do, then this one is a winner. 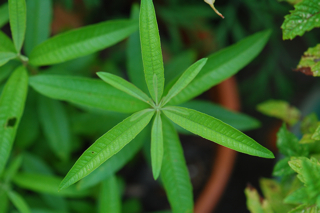 Lemon Verbena – One of my favourite herbal teas, alone or in combination, not only for the delightful, refreshing taste but for its ability to calm digestion, fevers and nervous tension or anxiety. Borage – Demulcent, cooling and anti-inflammatory as well as strengthening to the adrenal glands, borage makes a nice addition to blends of summer teas as it doesn’t have much of a flavour by itself. 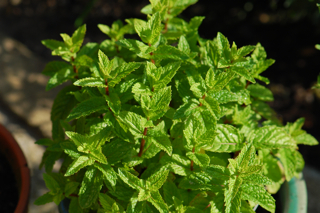 Lemon Balm – The perfect summer cup of tea! Delicious by itself or with other herbs like rose, other mints and lavender, it uplifts the spirit and cools the body and mind. Mints – Spearmint, garden mint, peppermint, apple mint, ginger mint, chocolate mint… the choice of mints is endless! My favourites for tea are Moroccan mint and spearmint but I use various others too. What could be more refreshing than a cup of fresh mint tea? It’s also delicious as iced tea, chilled in the fridge with a little ice added before drinking. Fennel – A great digestive tea, fennel has many uses, from boosting milk flow in nursing mothers to respiratory congestion and lifting low libido. It’s a tasty addition to tea blends and works well with other digestive herbs like chamomile. Calamint – Sweet, aromatic and warmer in nature than some of the other mints, Calamint is also a good diaphoretic, digestive and expectorant herb. 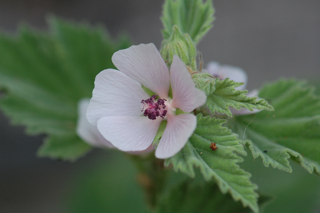 Marshmallow – One of the best herbal demulcents, Marshmallow is lovely to include in blends for people who get dry in the summer. Lime/ Linden Blossom – Calming, cooling and moistening, this is a delicious tea for those who are stressed out and over worked or are having trouble getting off to sleep. Calendula – Healing, anti-inflammatory and useful to the immune system, Calendula petals add a splash of colour and many benefits to any tea formula. 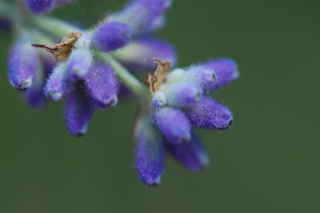 Lavender – Another great nerve soother and digestive herb, Lavender can help headaches from the heat and is lovely taken just before bed to help ensure a relaxing night’s sleep. 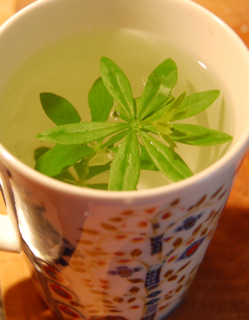 * Lemon Verbena, Sweet Woodruff and Spearmint. * Fennel, Calamint and Lemon Balm. * Elderflower, Rose and Borage. * Linden, Chamomile and Hawthorn Blossom. * Apple mint, Monarda and Calendula petals. That’s great that your sweet woodruff has done so well, it spreads fast doesn’t it. I really like it in teas though and what better way to keep it in check. I love borage and calendula together, there is something about that blue and orange combination, I think they are opposite colours no? Californian Poppy and Love-in-a-mist is my other favourite blue/ orange combo. 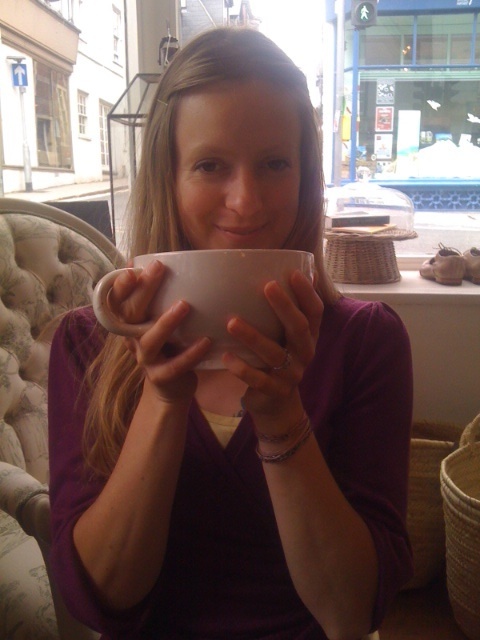 In your capacity as reigning Queen of tea it is a great honour that you enjoyed my post! I like marshmallow leaf in teas, especially because I drink so many of them so I try and avoid having too many drying herbs all the time. It’s so beautiful as well isn’t it, one of the prettiest plants in the garden i think, so soft and soothing to the eye – just as it is to the body. Thanks for hosting the party and sharing your luscious herbal water combinations too! Umm, sounds like a lovely refreshing tea and even better when shared with a friend! Another inspiring post! I am just getting started on my reading stroll through this new blog part. May I say, I agree with Danielle, it is so nice to see a photo of you! I love sweet woodruff and planted it because I have sort of an inexplicable thing for it. But other than a snip or three going into my may wine, I never have used it! Well, that will now change – tonight! It really is a lovely tea herb, we just had some with mint, very tasty it was too. What a lovely image of you. So young, so pretty, your life ahead of you. May your path be a long and happy one. You are so kind. Marshmallow is useful for lots of things, I will attempt to write something more about it in the next couple of weeks. Everything is going crazy in the garden right now and I have to get busy with some harvesting or it will all pass me by!